Today is Thanksgiving day for me, (even though it’s just a regular ol Monday for you lol), I’m especially excited because my mom and brother are here for it! 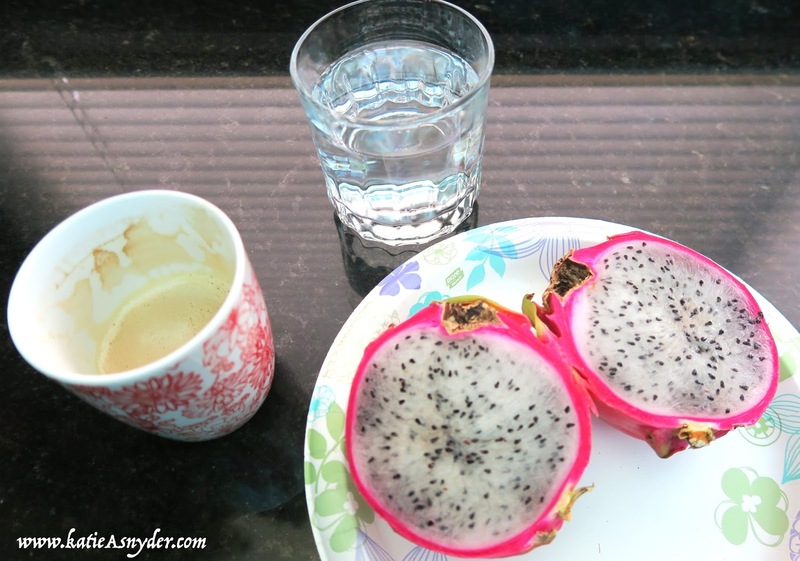 For breakfast I had a dragon fruit, these are some of my favorite fruits, this one is a white one, they also have pink, and a deep red. I enjoyed this with a cup of holiday coffee from Nespresso, which tastes just like berries, and a glass of water. 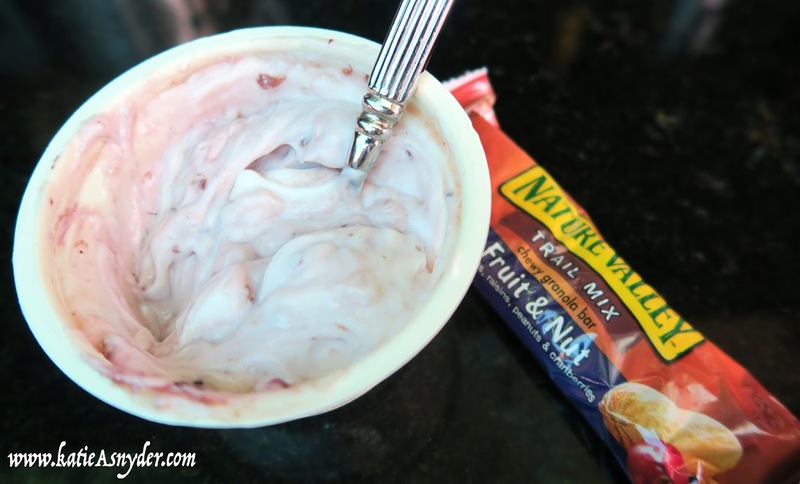 I was so busy trying to get everything ready for dinner that I didn’t really have time to eat so I had a blackberry greek yogurt and a Nature Valley Fruit & Nut Bar. 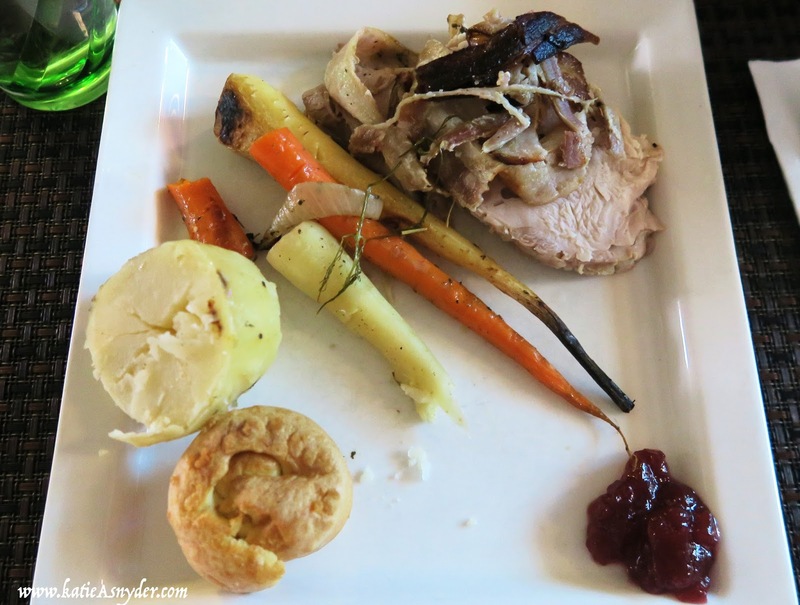 This Thanksgiving I decided to try and do an English style roast, it was not as easy as I thought it would be, especially the yorkshire pudding, mine didn’t rise like they were supposed to and were sadly very disappointing. 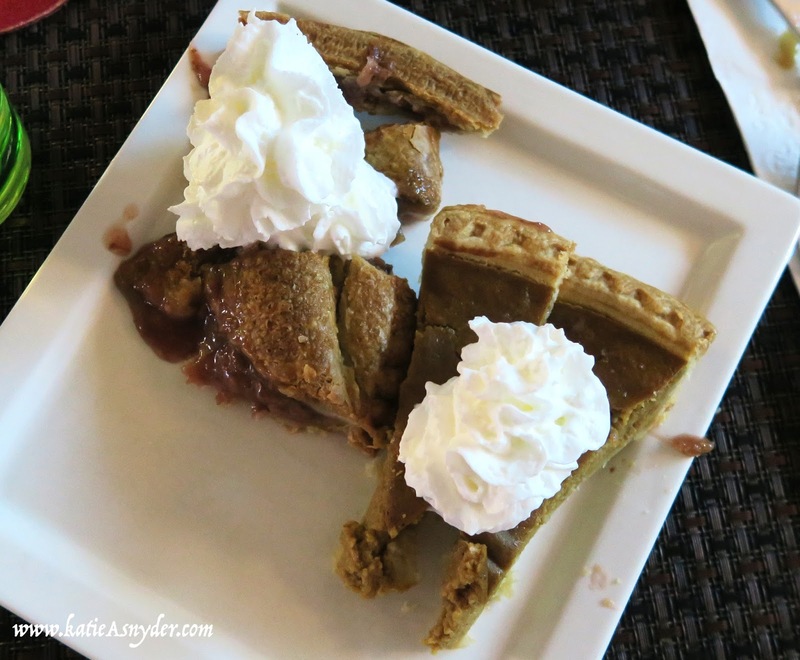 For dessert we had pumpkin pie and strawberry-rhubarb pie, both were amazing. Do you celebrate Thanksgiving? What did you eat?